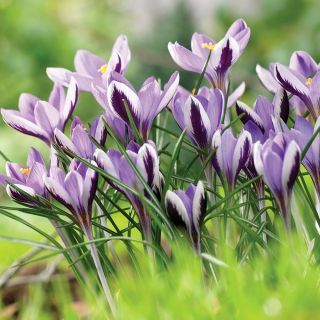 In early spring, multitudes of dwarf blossoms fully emerge from tiny grass-like foliage. 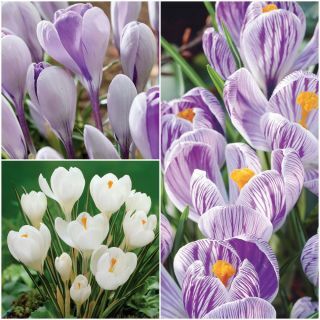 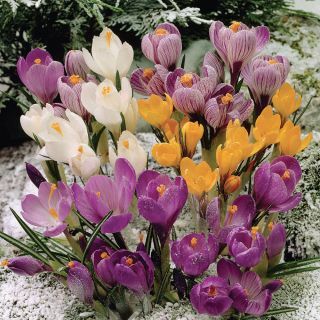 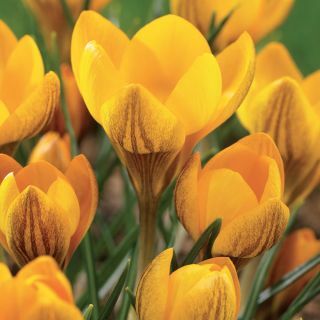 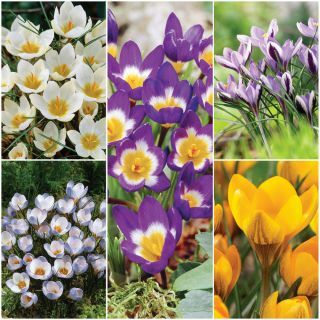 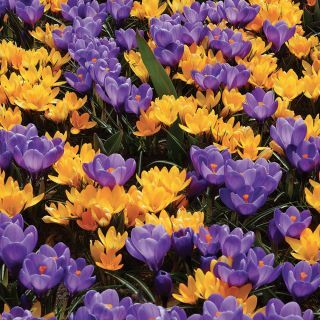 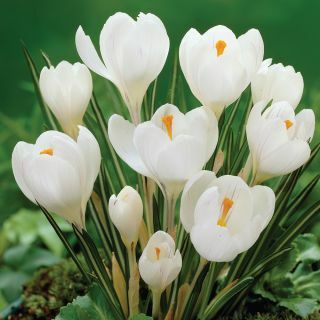 Crocus blossoms will pop up even through shallow drifts of snow and are vividly noticable with their cheery bright hues. 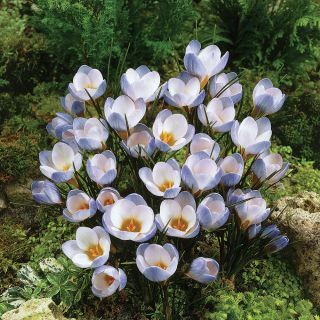 This perennial bloomer is a sure sign that spring has awakened and can be found growing in the most interesting places. 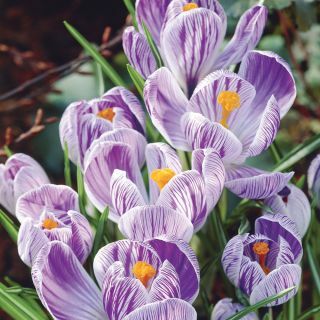 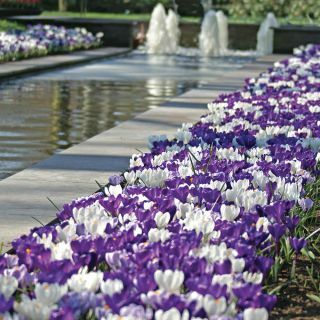 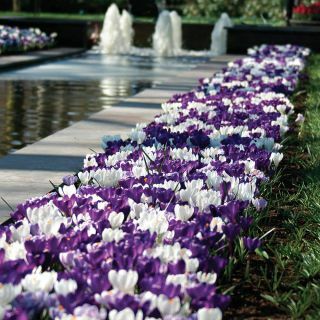 Crocus is easy to grow and naturalize in any lawn. 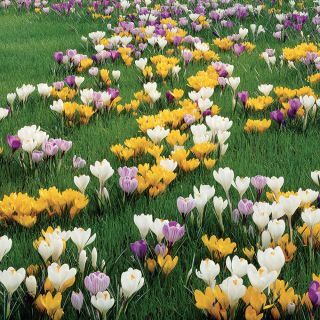 The flowers will go dormant just at the right time before mowing begins.